Finally, we can get out and enjoy the great outdoors in the Shenandoah Valley. The gardens are coming to life with daffodils, tulips, hyacinths, forsythia, Bradford pear, and more. April is full of natural color, breaking through the dullness of March. 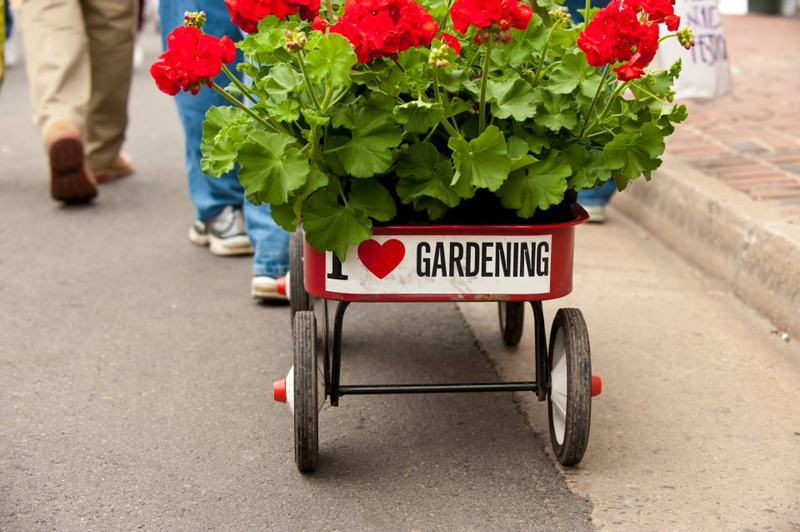 Nurseries are filled with flowers, herbs, trees, and more for the garden lover to take home. These are plants that come back every year without having to replant. So it is time to relax and enjoy the fruits of your labor from previous years. But it is always good to add a few new ones or start adding them to your garden. Easter gifts of flowers are often the type that can be planted now and will return next year. The Easter lily is one that will come back each year. 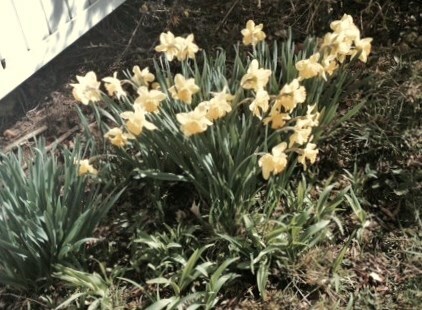 It is such a blessing to look out and enjoy all the lovely blooming colors of spring —yellow, pink, white, and blue. Also it is a great time to bring a little of it indoors with a few daffodils cut from the garden or some forsythia branches to brighten any décor. Trees are starting to bloom as dogwood, cherry, and red bud are coming on the scene. A drive in the country or a walk in the woods will bring them all closer to reality. And don’t forget our very own apple blossoms that start popping out the end of April. The Shenandoah Apple Blossom Festival is held each year in the honor of the lovely blooms. 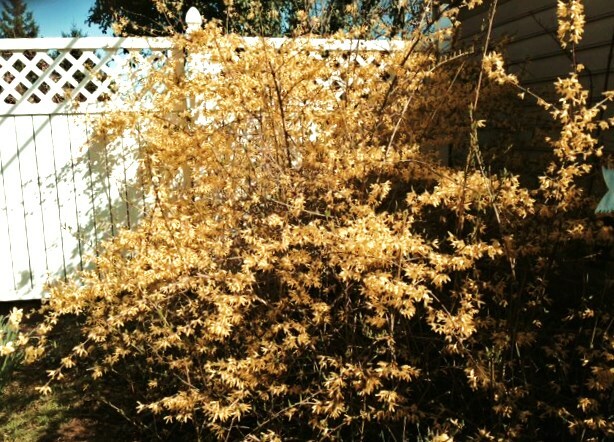 Garden week is not far off in Virginia as well as in the Shenandoah Valley. House and garden tours are offered statewide from April 18 to 25. This eight-day event provides an opportunity to see gardens at the peak of Virginia’s springtime color, as well as houses, showcasing 2,000 flower arrangements created by Garden Club of Virginia members. Local features on the tour from 10 a.m. to 4 p.m. April 25 in Winchester are the Glen Burnie House and Gardens at the Museum of the Shenandoah Valley, 901 Amherst St.; Loudoun Street Presbyterian Church Manse 331 N. Braddock St.; 120 and 122 W. Cork St., and 703 S. Washington St. This is a great opportunity to get ideas and suggestions on how to begin or expand garden options in your own backyard. Any gardening can be done on a much smaller scale than formal public gardens but a small piece of heaven is possible in a tiny yard or even in pots. Another date to keep in mind is the Blandy Garden Fair from 9 a.m. to 4:30 p.m. May 9 and 10 at the experimental farm in Clarke County. Every type of plant, vegetable or flowering shrub will be available along with plenty of advice on how to start or keep up your gardening efforts. Another great garden event that features a tea is the Shepherdstown Back Alley Garden Tour and Tea in Shepherdstown, Virginia.The tour takes place May 16th and 17th. Enjoy walking the back allies of the town and entering gardens thru the back door. A delightful tea is part of the tour aas well as there is a vendor walk on Saturday. Whenever considering a purchase for the garden, keep in mind the initial cost and the sustainability of the plant — how long will it last and how much care does it take. Check out Go Blue Ridgej Travel’s new Culinary Trail with a special section on Gardens and Nurseries. But don’t get too excited and start putting out plants that can’t handle the weather yet . This planting zone is not frost free until the middle of April. I wait until the first of May to put out geraniums and other annuals. Gardening is a great hobby and can give many benefits not only from the beauty of the products but also as a stress-reliever. Exercise by working around the plants and being in the great outdoors can really add to one’s well-being.